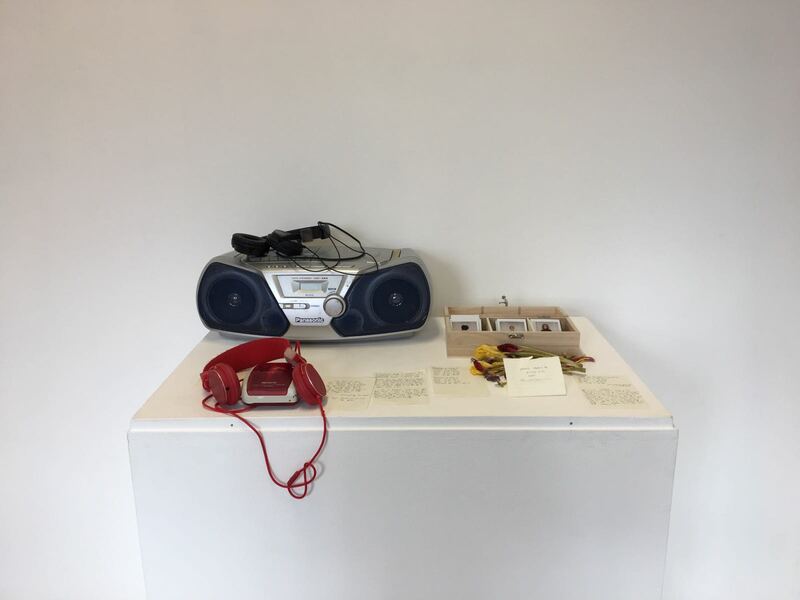 Chelsea MA Curating & Collections students curate exhibitions throughout their course, both on a local scale inside the college and on a global scale, collaborating with international institutions. 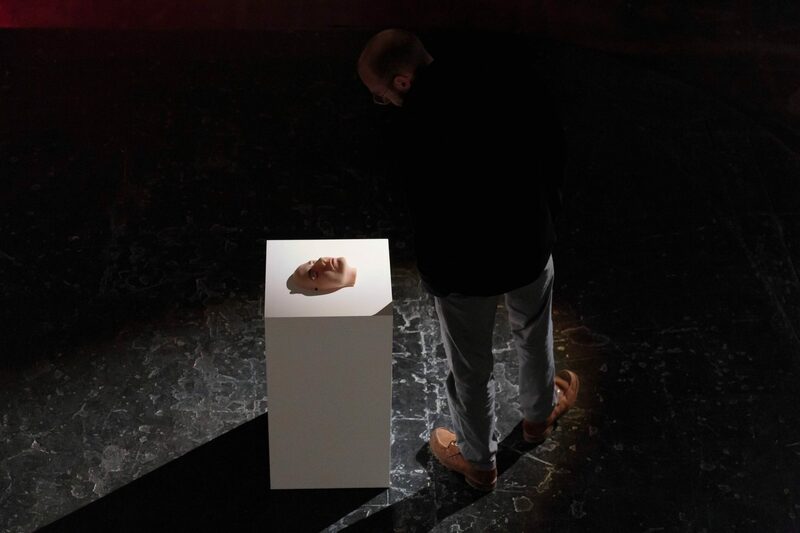 We caught up with current student Gaia Giacomelli who recently co-curated an exhibition at Chelsea Landing Space, and was selected to co-curate One & The Other, an exhibition at the prestigious Zabludowicz Collection gallery in North London. Gaia talked us through the challenges and excitement of curating shows both on a small and large scale. You recently co-curated an exhibition in the Chelsea Landing Space titled ‘Three Desks’, can you explain the premise? Each term we get to curate an exhibition in one of three spaces around the College, and this term it was my group’s turn to organise something in Chelsea Landing. When we had our first meeting in the space, trying to come up with ideas for an exhibition, we noticed the constant coming and going of people through the room – as the name indicates, the landing is an empty space between the flights of stairs and the offices and classrooms in E Block at Chelsea. That was our first influence when considering the exhibition: a space of constant transit, and different people passing through distractedly, in a rush. We thought of other transitory spaces, and the Jungle in Calais came to our mind: a place of passage, not designed to be permanent and stable, but where people unfortunately end up spending long amounts of time, turning it into an ‘impermanent home’. From there we imagined artists dealing with the concept of ‘making yourself at home in a transitory space’, and that is how we got to the idea of moving their studios into Chelsea Landing. We spoke to artists (and current Chelsea MA Fine Art students) Mariana Loewy, Radu Nastasia and Nikolaos Panagiotopoulos, and they enthusiastically agreed to be part of the project; we moved their desks into the space (that’s where the title came from) and they worked there for three weeks, each creating new bodies of work that we then left on show for a few more weeks. What did you find most surprising about having artists working in a space as the basis of an exhibition? I was surprised by how creatively, and in their personal way, they each responded to the space and the idea of Three Desks. Mariana was inspired by the contact – or rather, lack thereof – with the people passing through Chelsea Landing, and she created a new work, Intimdad, reflecting on the themes of intimacy, vulnerability, and openness. 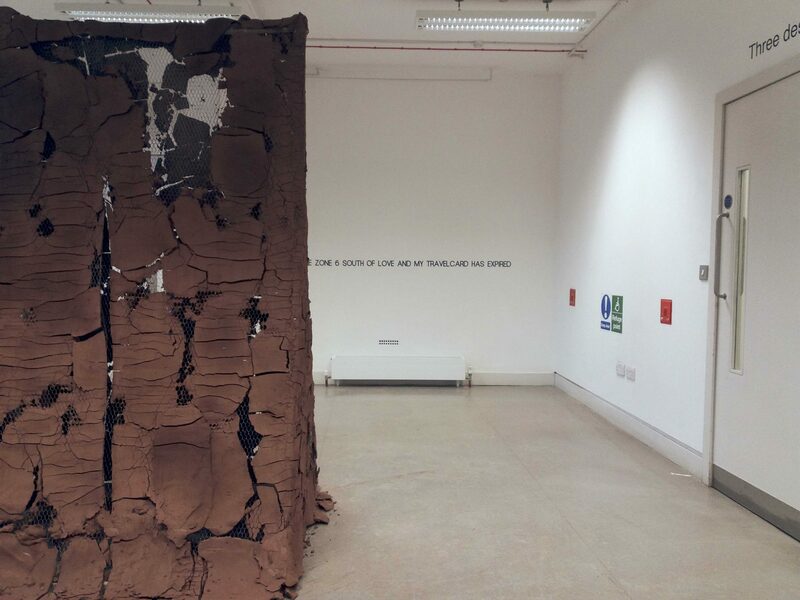 Nikolaos, with his piece Wall, challenged the transitory nature of the space instead, its constant movement, by creating a clay wall that stood like a barrier in the space, without actually constituting one. Whereas Radu, with his works Geometry Lesson, Ultra-Confirmation – for Ciroian and Untitled – South of Love, critically challenged the limits of the space, and investigated the neglected and empty corners of the room, creating new mental spaces beyond the actual four walls. One could see how they started from where they were in their own practice at the moment, and engaged with and were inspired by our curatorial experiment. It’s been great to collaborate so closely with them, and really create something new together. 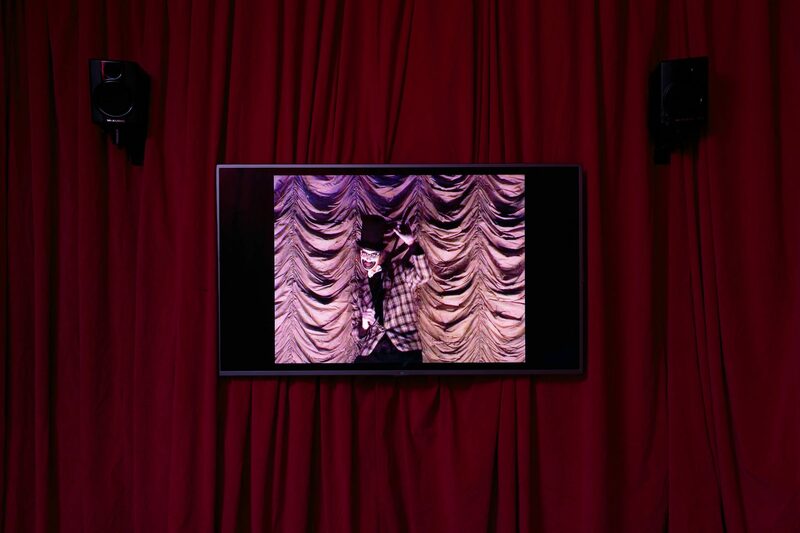 Can you explain the premise of the show you co-curated with Zabludowicz Collection? 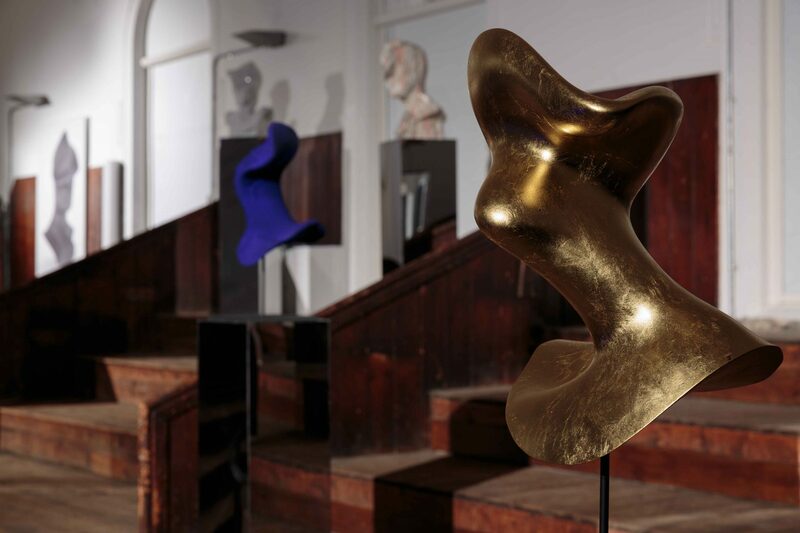 Zabludowicz Collection has been running the Testing Ground for Art and Education programme for several years now. They invite curating students from different London universities to create a show with their vast contemporary art collection; four of us in our course (Ryan Blakeley, Nadine Cordial Settele, Sofia Corrales Akerman, and myself) have been selected this year, and collaborated with two students from the Sir John Cass College of Art at London Metropolitan University. We had absolute freedom in the choice of the theme, the works, the spatial arrangement, and at the same time great support from the ZC staff. Our show, One & Other, turned out to be a success – in terms of public response, feedback from the gallery staff, and for us personally. We were all very proud of our work and of the result. What was the biggest challenge in setting up the show? We had little time, initially, to go through the immense collection – comprising of around 270 artists, and something like 3000 works – and decide on a theme for the show. We had long meetings to find a final topic we could all be happy about, and that took patience and willingness to explain, listen and compromise. It was also quite difficult to curate a show with artworks we had never seen in person – we had to rely on images and the Zabludowicz Collection staff’s knowledge to picture our final exhibition space – and yet, we were still a bit surprised when the artworks arrived at the gallery, thankfully in a positive way. There was a very different scale between the two shows- how does that affect your curation experience? Any advice for students? For Three Desks, we knew we had room for experimenting and we started right away with a bold curatorial idea, and brought the artists on board with us. We didn’t know what the final result would be, and we were interested in the creative process. The uncertainty and openness were at the heart of the project – there was a lot of trust and communication between us and the artists, which I believe is extremely important in curating. 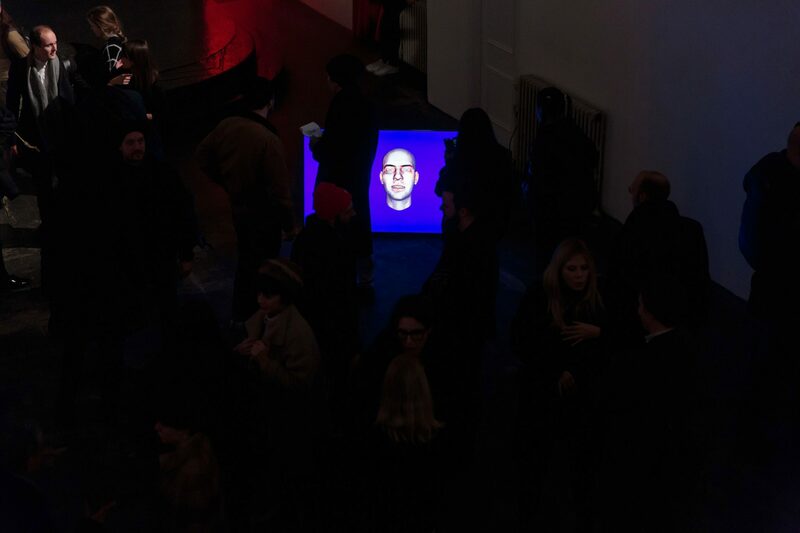 The Zabludowicz project was the opposite: our curatorial ideas were informed and shaped by existing works, and we had almost no contact with the artists but still felt the responsibility of not speaking on behalf of them. When curating from a collection, picking artworks that were originally made or commissioned for different shows, and putting together very different practices and artists, you run the risk of making the works ‘fit’ your curatorial idea; what we tried to do was to allow each work to speak for itself, with its unique take on the theme. I’m in no position to give advice, but I think it’s vital for a curator to respect the artist’s ideas and works, and provide the best intellectual and spatial setting for them to come out. Both shows have been a collaboration between you and other MA Curating & Collections students, do you have any advice on how best to do this? Communicate. Go for a coffee or to the pub and just get excited about the project, brainstorm, bounce thoughts off each other. Defend your instincts, justify your positions but be open to compromise. Of course we weren’t always on the same page about what to do in the exhibitions, but it helped immensely to always explain exactly why we liked or disliked an idea, so that we always knew why we were taking this decision rather than the other. I have grown so much from the teamwork I’ve done in these two projects, both from a personal and professional point of view. You are currently half-way through your MA Curating & Collections course – how are you finding the experience so far? I am having a great time. I love the course, I found everything I wanted at Chelsea and I’m trying to make the best of every day and every opportunity. It’s all going by so fast! Finally, any future plans you’d like to share? We’ll have one more exhibition in groups before our collective final show at the end of our MA, which will be in September. Personally, at the moment I’m also working on a project with an online contemporary art gallery, Artidest, a non-for profit gallery that seeks to represent underprivileged artists, artists who come from a social or cultural minority background or whose work is socially, culturally, and politically engaging. I’m honoured to be curating their first exhibition, using virtual reality, on the topic of gender equality. And obviously I’m looking forward to see how this upcoming term unfolds! Exciting adventures ahead! Find out more about the Chelsea MA Curating & Collections course.